Tundra swans that nest in Alaska are exposed to lead on their wintering grounds along the Atlantic Coast. Photo credit: Ryan Askren USGS. U.S. Geological Survey (USGS) scientists measured lead in blood from tundra swans that nest in Alaska and then followed the migration of these birds using satellite telemetry. 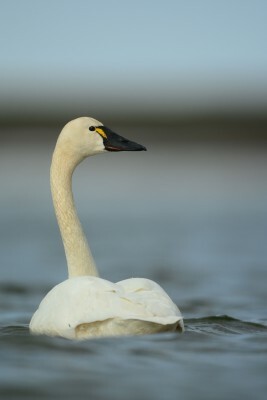 Levels of lead in blood were higher in adults than young swans, suggesting exposure to lead occurs on wintering areas and/or during migration, rather than on the summer breeding grounds in Alaska. The lowest blood levels were found in swans that rarely migrate from their nesting grounds in southern Alaska. The highest levels of lead were in swans that nest on the North Slope of Alaska and these swans spend their winters along the Atlantic coast, primarily in North Carolina and Maryland. However, the overall blood lead concentrations in swans sampled in Alaska were low suggesting that swan tissues would pose little threat to human consumers. In another study by USGS scientists and collaborators, historic and current levels of mercury were measured in yellow-billed loons that nest in Alaska. Mercury in samples of blood and/or feathers from 115 yellow-billed loons captured between 2002-2012 and feather samples from 25 museum specimens from 1845 to present were, on average, below levels thought to be harmful based on comparative data in common loons. However, some of the individual yellow-billed loons had mercury elevated enough to potentially decrease reproduction. In addition, mercury concentrations in museum specimens showed that exposure has doubled over time. Yellow-billed loons are one of the rarest breeding birds in North America, the rarest of all loons world-wide, and are under consideration for listing under the endangered species act. Most of the yellow-billed loons that nest in Alaska winter in Asia. Mercury levels in blood were lower than those in feathers indicating that the majority of mercury was acquired when molting on their wintering grounds in Asia. These data, and the potential for further release of mercury from melting permafrost, point to mercury as a current and potentially increasing stressor of yellow-billed loons. Yellow-billed loons are exposed to mercury on their wintering grounds in Asia before migrating to Alaska for breeding. Photo Credit: Ryan Askren USGS. The swan study was supported by the USGS Contaminant Biology Program and the Wildlife: Terrestrial and Endangered Resources Program. The loon study was supported by the USGS Wildlife: Terrestrial and Endangered Resources Program. Blood lead concentrations in Alaskan tundra swans--Linking breeding and wintering areas with satellite telemetry: Ecotoxicology, 2014, v. 23, no. 3, p. 349-356, doi:10.1007/s10646-014-1192-z. 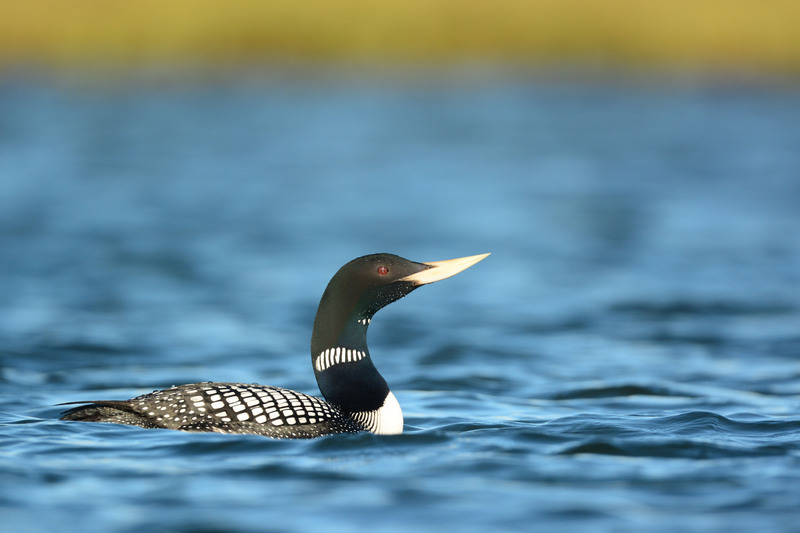 Historic and contemporary mercury exposure and potential risk to yellow-billed loons (Gavia adamsii) breeding in Alaska and Canada: Waterbirds,2014, v. 37, no. sp1, p. 147-159, doi:10.1675/063.037.sp117.